An idyllic North Cornwall retreat. 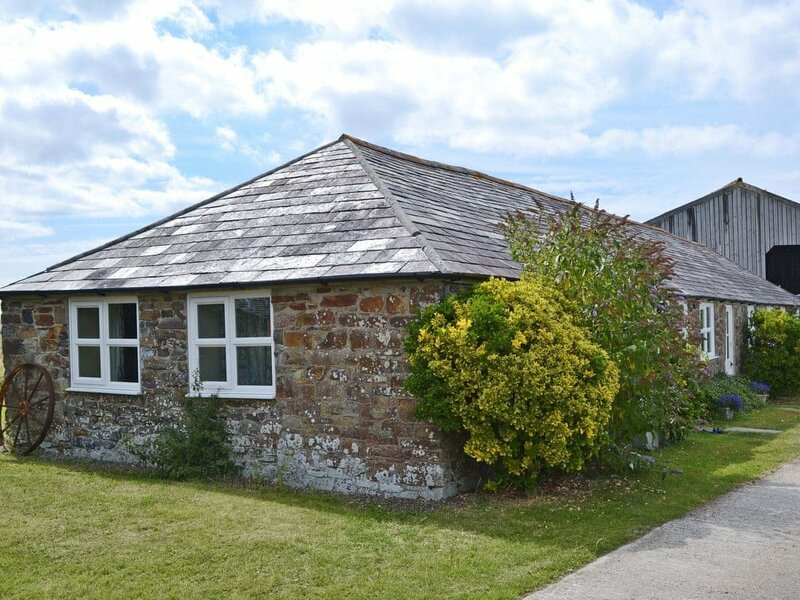 Higher Tresmorn Cottages is the perfect holiday location to enjoy the beauty of North Cornwall. Nestled peacefully in the Area of Outstanding Natural Beauty, adjacent to National Trust land, Higher Tresmorn boasts some truly spectacular sea views. This is the ideal spot in which to relax and unwind. The 16th-century farm buildings have been converted to a very high standard retaining plenty of character and charm. The Annexe sits adjacent to the owner’s farmhouse. With its galleried bedroom over spacious open-plan living area, it is a very romantic hideaway. Little Wren and Swallows Swoop are single-storeyed, standing together and are perfect for families and friends while The Roundhouse is a superb, spacious, open-plan detached property with sea views from the patio and a cosy wood-burning stove for those colder evenings. Dramatic views can be enjoyed from the coastal path or walks along the cliff top discovering the many hidden coves. A beautiful, quiet and secluded part of Cornwall rich in natural beauty and character. Take to the surf at Crackington Haven or Widemouth Bay or explore the many rockpools. Whether surfing, walking the coastal path, playing golf, fishing or simply relaxing, this stunning location has something for everyone. Crackington Haven is just a few mintues’ drive and has an excellent beach shop and tea rooms and beachside pub serving good food. The popular resort of Bude is just 12 miles and has an excellent range of shops and restaurants along with tennis, surf school, indoor splash pool, bowling and three more sandy beaches. The picturesque fishing villages of Tintagel, Port Isaac and Padstow are close by. For a great day out visit Crealy Adventure Park, the Blue Reef Aquarium and the famous Eden Project. Shops and pub 2 miles.Living/dining room/kitchen. Double bedroom with brass bed. Bunk bedroom. Bathroom with over-bath shower and toilet. Be the first one to tell us about your rental experience while staying at Higher Tresmorn Cottages - Swallows Swoop. Let us know if the listing matched your expectations. You can share your comments about the location, property owner/manager and all the unique features that made your stay a memorable one.